When you think about the different milestones in your life what do you think of? Getting married? Having a baby? Growing in your career? Finding your passion? Buying your first home? Whatever the milestone is, it is a moment that helps us grow. Buying your first home is a huge milestone. Buying a 2nd or 3rd home is also an incredible milestone. 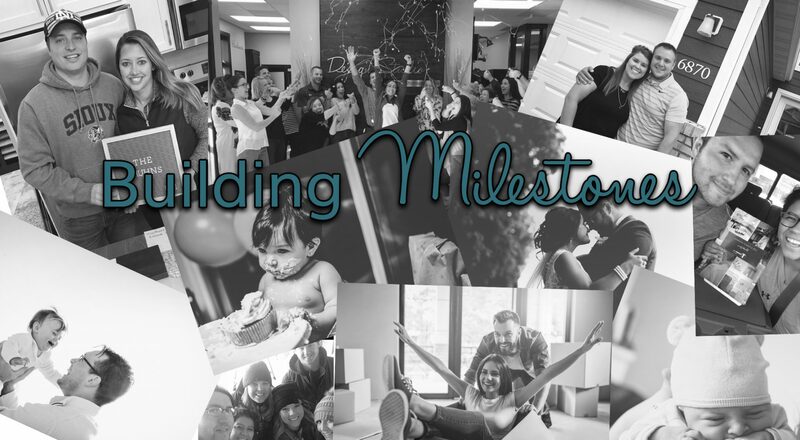 Let alone building a home is a milestone. All that hard work of saving, research, conversations have paid off and you truly have a place to call your own. This is probably one of the biggest investments you will make. Buying a home is a journey from the moment a home is considered, until getting the keys to the front door. When on the search for a new construction home consider the value, you get for your dollar. What things are included? What are the different selections to choose from? 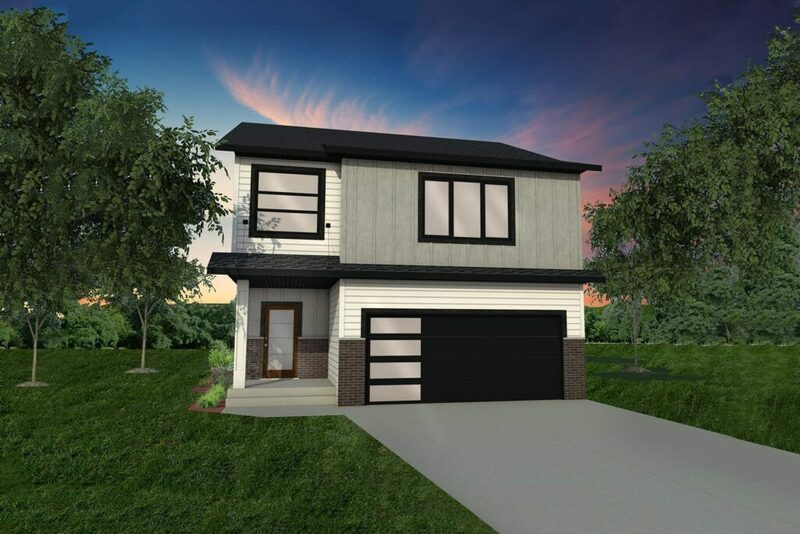 The Thomsen Homes value includes a sod yard, deck or patio, upgraded exterior and appliances all included. The sections offered are quality with a large variety to choose from. The service and attention to each and every client is our top priority. The aftercare warranty of your home is also a valued asset to working with a builder you can trust. At Thomsen we pride ourselves in the fact that we can take care of our clients well after their home has been built. 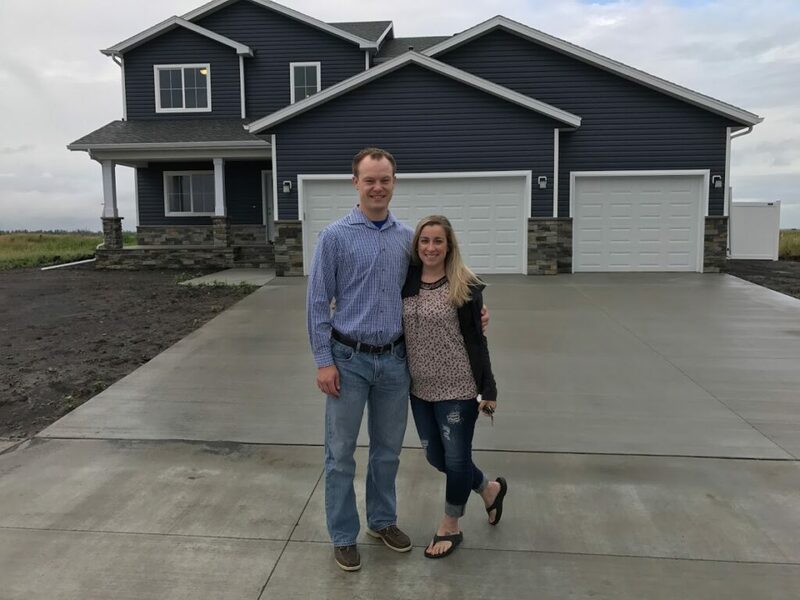 Check out Andrew and Katelin’s Thomsen Moment as they reached this milestone of building their home with Thomsen Homes. If you want to meet this milestone and find value in a builder, you can trust make your Thomsen Moment happen today! Following along with Brady and Jenna on their Home Building Journey, next up: their final walk through and closing on their new home. If you missed their journey, check out part one through seven of the Meyers’ home building journey. Closing day has finally arrived! We headed to our FINISHED home bright and early to do our Final Walk Through with Nate from Thomsen Homes. We looked over the items that were noted at our Pre-finish Walk Through to make sure they were addressed, which they were. We had a couple floor panels in our kitchen that needed to be replaced, but the supplies hadn’t arrived yet. 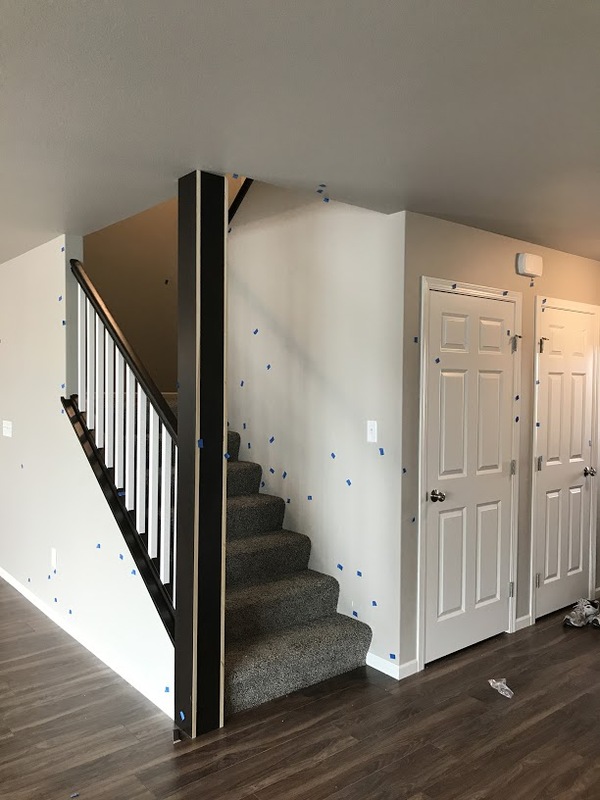 Everyone at Thomsen Homes was precise in making sure that things are noted and we had them within a couple weeks without having to follow up ourselves. Paul, Construction Manager, and Steve, Assistant Construction Manager, even stopped by to check on our Walk Through to make sure that we were happy with everything we saw. 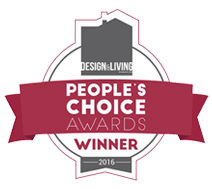 They were pivotal in making sure that all of our selections were accurate and ensured that our home was built in a timely manner with precise attention to detail! We then headed over to the Thomsen offices. First we met with Nikki, the Client Relations Manager. She walked us through the home warranty process, got us set up on the website to report any issues that may arise (which will be addressed at our one year mark), and she even shared an awesome system that sends out text reminders for things like preparing for winter! 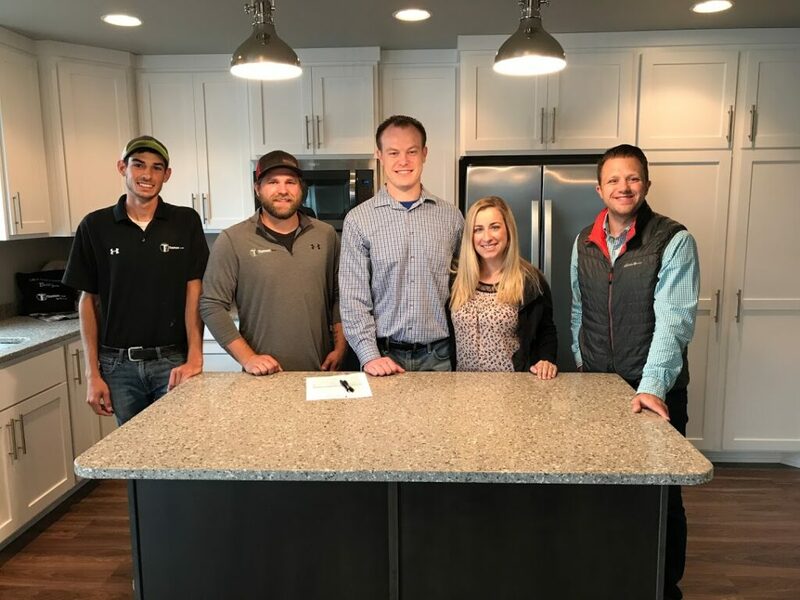 It’s nice to know that we won’t just be signing the papers today- the team at Thomsen is invested in you for the long run and want to make sure that you continue to love your home! 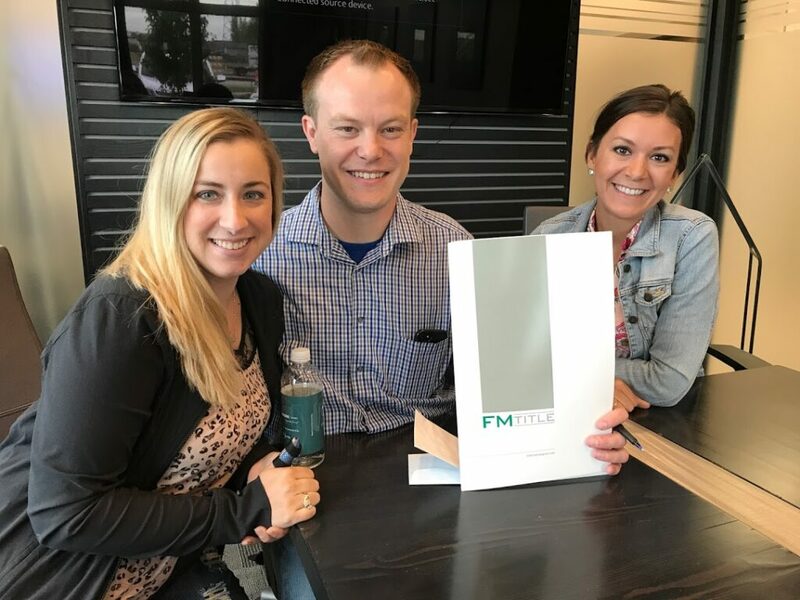 Finally, Dani, the Closing Officer from FM Title, came in so that we could sign on the dotted line and receive the keys to our home! She walked us through and explained everything that we were signing, which looked and sounded a lot like Spanish to me. She made sure to answer any of our questions and ensured that we were educated on what we were signing. As we walked out of the conference room, the music was on and a large team of Thomsen Homes’ employees were gathered and waiting for us to come out! We were greeted with cheers, clapping, and hugs! It was so incredible to see and feel their genuine excitement for our new home!  We weren’t just another customer- we had a team of people invested in our home building process. A team of people that we continue to be connected with. A team of people who truly care. We are so excited to start moving in to our forever home! 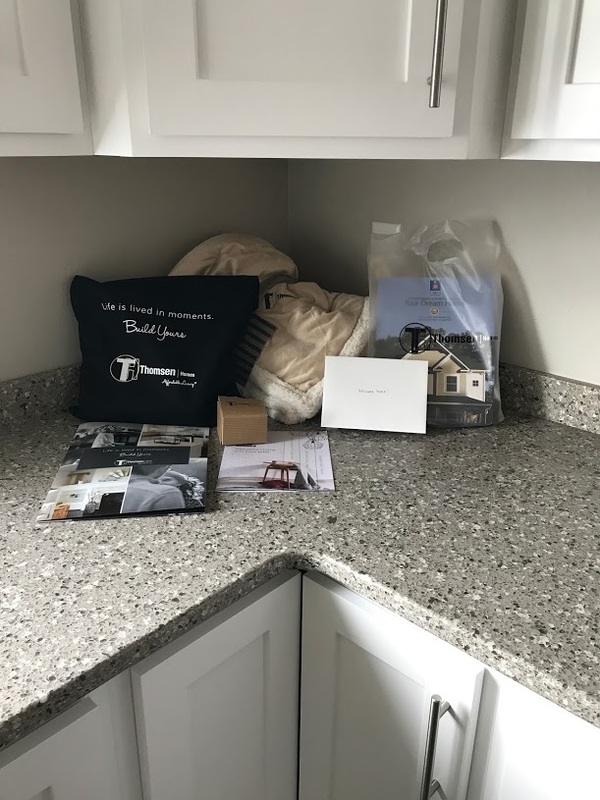 We were given an incredible “Welcome Home” gift complete with a card, blanket, gift cards, a touch up kit, and a voucher for a house cleaning! Let the unpacking begin! Contemporary with a touch of lux, introducing the Modern exterior home plan option. Modern homes are increasing in popularity, especially in the Fargo/Moorhead and Grand Forks areas. 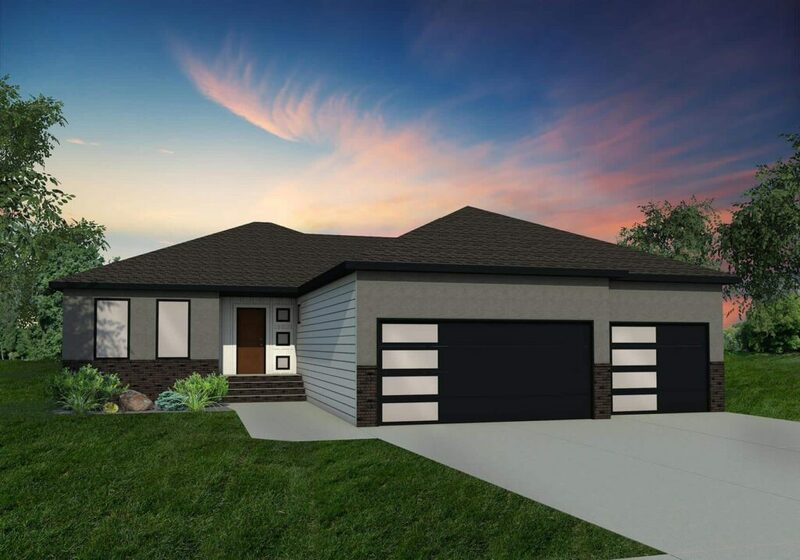 If you are someone who wants an eye-catching exterior home, the Modern exterior home plan will add the curb appeal you’ve been looking for! Check out our new exterior home plan options including the Modern option for all our home plans. From our 2180 bi-level to 2086 2 story, the Modern exterior option is the minimalist look you’ve been searching for. 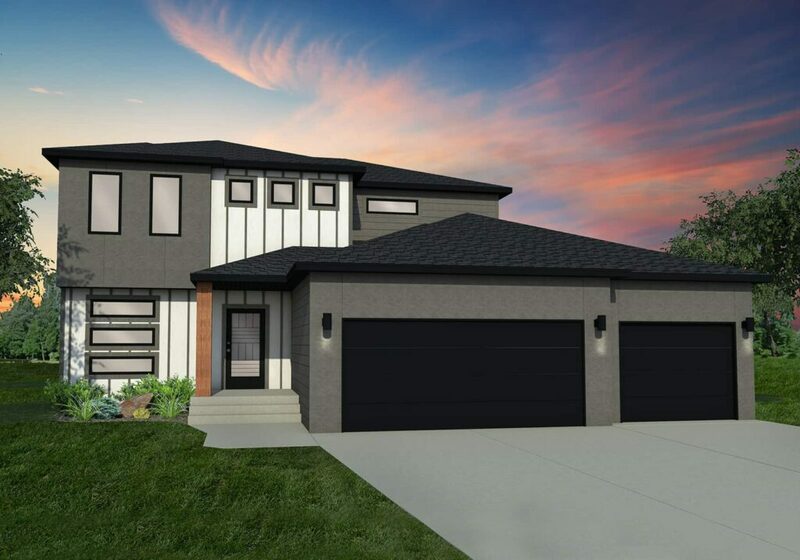 Our Modern exterior home plan features a lux look with a bold exterior, with clean lines and the use of industrial materials. The Modern emphasizes rectangular forms, horizontal and vertical lines, and traditional materials used in new ways. Materials such as sleek stucco, wood and brick are used to reflect a modern aesthetic. Traditional horizontal siding is replaced with vertical board and batten, used in large planes. Brickwork is simplified and used rectilinear as accents to the exterior. 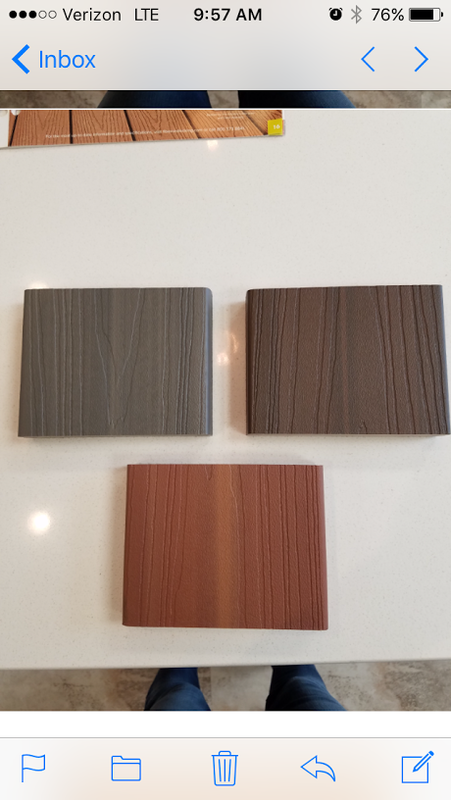 Modern exterior colors typically include mushroom tones, dark grays, black, white and varnished wood. Modern homes utilize their surroundings to mimic the exterior by including greenery and large rocks to add to their curb appeal. Continue the modern look inside your home with an open floor plan concept to compliment your lifestyle. If you’re looking for more Modern exterior ideas, check out our Pinterest board! Haven’t heard about our new exterior home plan options? Check out this blog post. Is your home still the one? This Valentine’s Day, it’s time to think of one relationship that you often don’t put a lot of thought into – the relationship with your home. What does your home mean to you? Do you love your home? Do you spend a lot of time with your home, putting in endless hours of time/ care into your home? Like most relationships, it’s a good idea to step back and evaluate the place you spend your days and nights. How do you feel about your floor plan? Your location? To help you dig deeper into your home relationship, take this quiz offered by Zillow: How Much Do You Love Your Home? 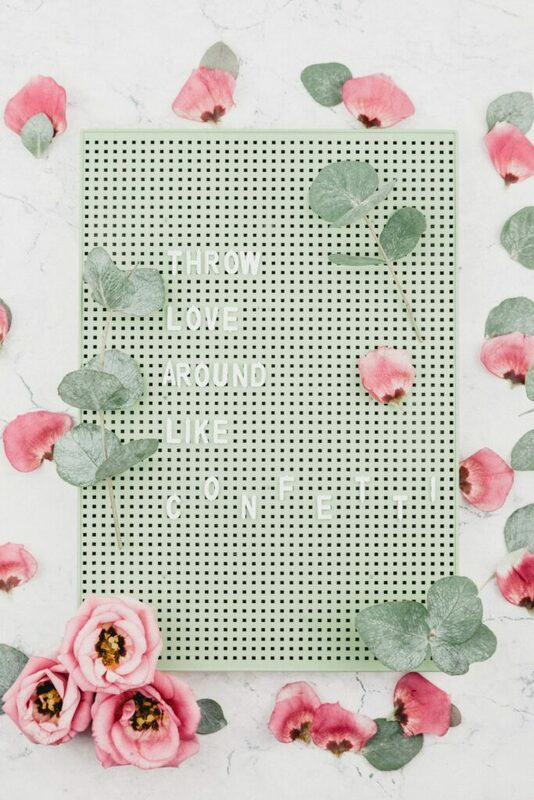 We’re gathered here today to find out … when it comes to your home, is love enough? Your life changes over time: new relationships, new jobs, new hobbies. Sometimes, you can make changes to your home to adapt to your lifestyle — but sometimes you can’t. And the hardest part? Knowing when to let go. Take our quiz to find out your relationship status — with your living space. What were your results? If you got ‘Ready to Move on’, check out our Available Homes and stop dreaming, call us today before you’re dream home is gone! 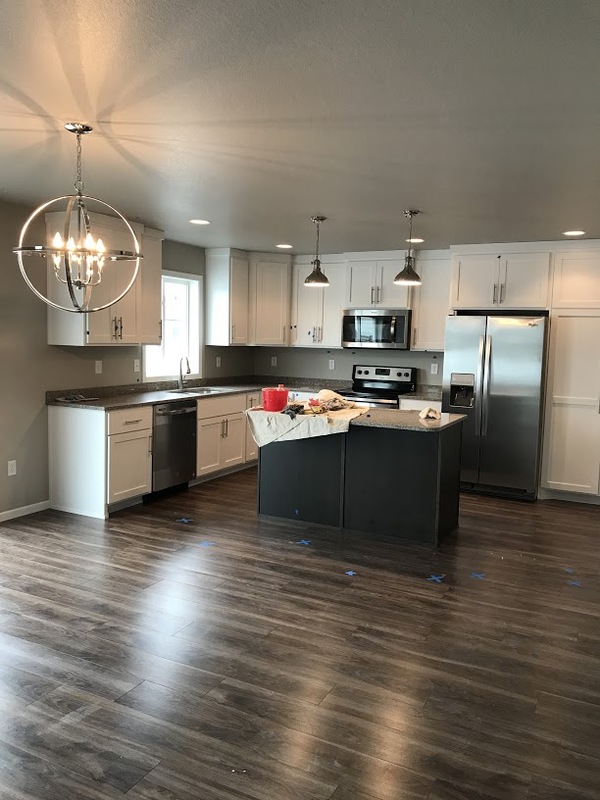 Part seven of the home building journey, Brady and Jenna talk about what it was like to be so close to moving into their new home and what it was like to do the pre-finish walk through of their home. The day we finally got to walk in and see our house, full of all the decisions we made, had come. I can’t even put in to words how exciting it was to FINALLY walk into our home and see everything all together. We had been driving by for weeks and weeks watching it go up and seeing the exterior changes, but that doesn’t even compare to stepping inside and finally seeing it all! Nate met us at our house and before walking in warned us that there were still things that needed to be done. There are individuals that meticulously walk through your home looking for “blemishes” that need to be touched up before closing. And when I say meticulous, I mean there was blue painters tape all over marking where something needed to be painted, or sanded, or filled in. What a relief to know the care that goes in to making your home literally perfect. Bryan, our construction manager, even stopped by to introduce himself and show us a couple areas that they would be replacing in the flooring and why (spilled glue). I appreciated seeing yet another person that was invested in the quality of our home. My husband brought our upgrade addendums with on this walk through to help us stay focused on our choices. If something wasn’t right, Nate made a note in his phone to follow up on after our meeting. (I think that list ended up with only two items on it after 45 minutes of going through every room.) The builders and contractors are thorough and care about doing it right. My favorite part of this walk through was Nate’s genuine excitement for us and the choices we made.  Once again, everyone we worked with invested in our home building journey with them—it’s another reason we feel so confident not only in the choices we made for our home but in our decision to build with Thomsen Homes again. To learn more about the Meyers’ home building journey check them out here. 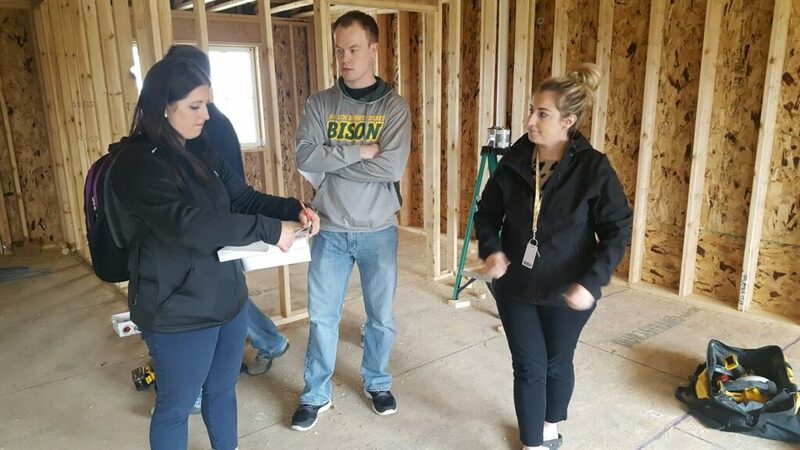 Following along with Brady and Jenna on their Home Building Journey, next up: their electrical walk through. 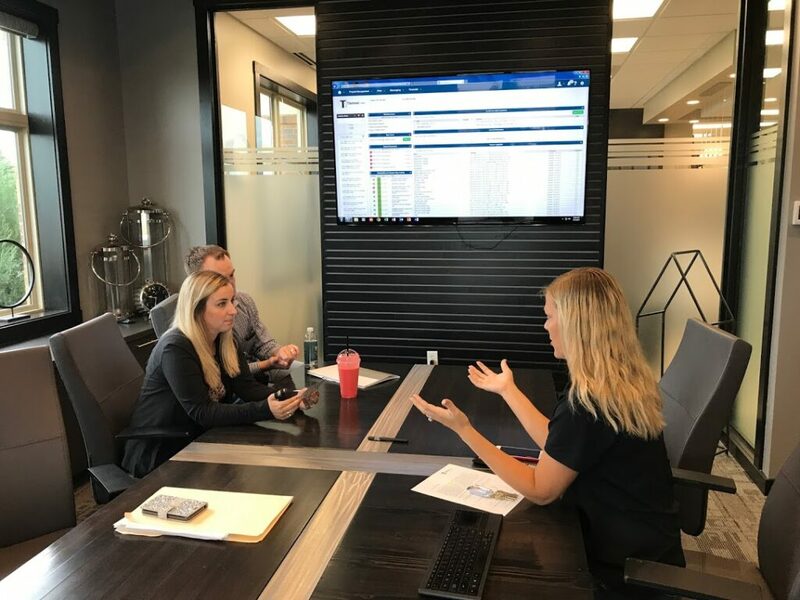 After meeting with our design specialists for a second meeting to select their interior selections, Brady and Jenna met at their home with Heidi and their electrician, Adam with Aurora Electric. Check out part one through five of the Meyers’ home building journey. Our house has officially started to go up and we look forward to seeing the changes each day on our family car ride! 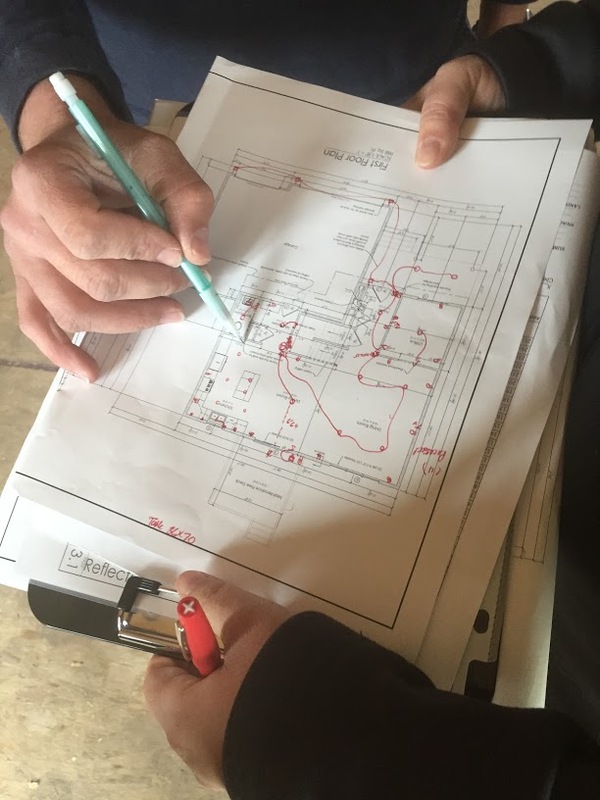 Prior to our electrical walk through, we were given a list of potential electrical upgrades to look through in advance. Some of these choices we had already made and some we added that day. Once the entire house was framed, we met with Heidi and Adam, our electrician, to walk through the house and make electrical choices. Our electrician was very knowledgeable about the standard number of outlets that needed to be in each room and the placement for switches, outlets, and lights. Armed with a black Sharpie, he began marking where everything would go! When we weren’t sure about something, he always gave his honest opinion to help with our decision making. We knew going in to this walk through that we wanted to add canned lighting in the living room and family room, but he aided in where they should actually go to be the most functional. The most challenging (and slightly stressful) choice for me was where to place our dining room light fixture. We had the measurements of our table, so Heidi and Adam helped us map out its location in order to make sure that our light fixture would be centered! This may sound like a lot, but we were able to accomplish all of this over my lunch hour! Along with being knowledgeable, they are also extremely efficient in guiding these decisions with their expertise! 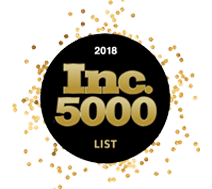 Its days like this that we were incredibly thankful for the team that surrounded us so that we left feeling confident with our choices rather than overwhelmed and unsure! As always, their goal is to make sure that you’re making the right selections for YOU, not just what’s considered standard. Stay tuned for part 7 of the Meyers’ Home Building Journey. 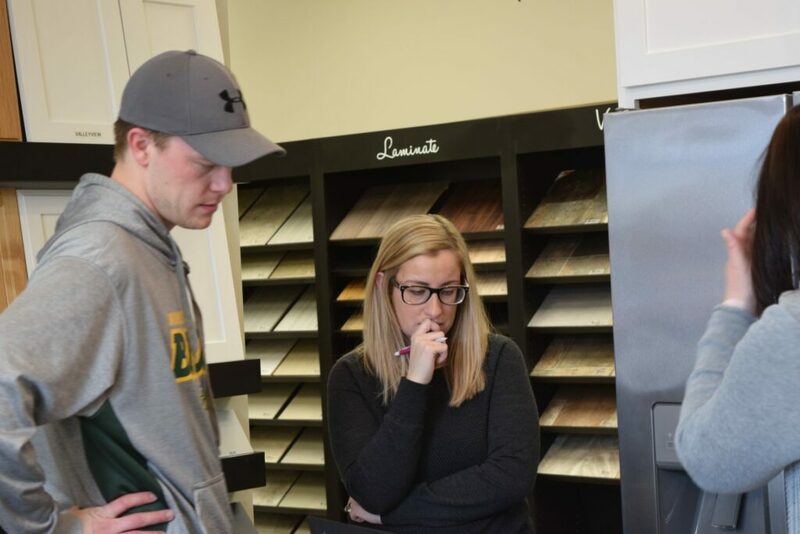 After Brady and Jenna had their first design appointment and picked out their exterior selections, they met with our design specialists for a second meeting to select their interior selections. 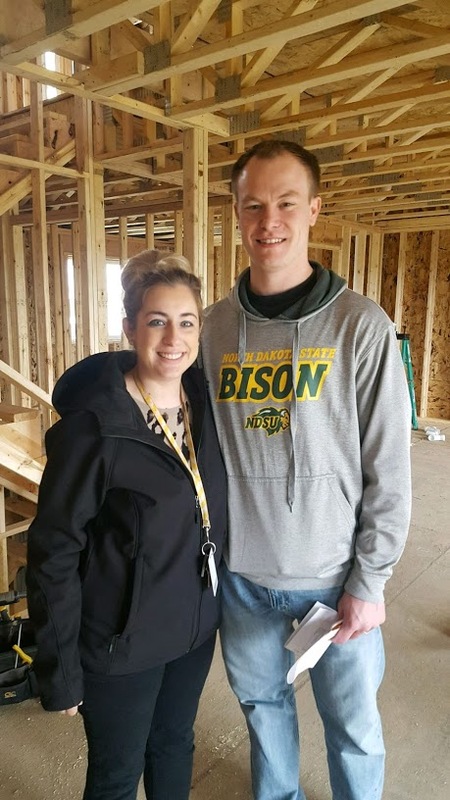 Follow along for part five of Jenna’s guest blog and the Meyers’ home building journey. I agree, there are a lot of decisions to make, but I can’t say I ever felt overwhelmed by them. 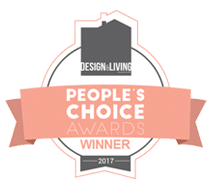 This is credit to our design team—they will steer you in the right direction, give you their honest opinions, and offer ideas that you never would have considered in order to make your home come to life. 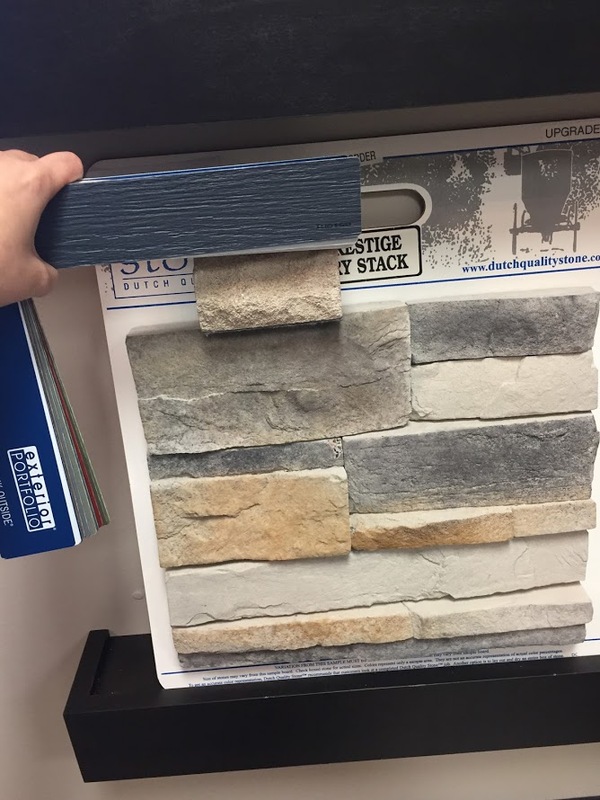 Every selection is right there in Thomsen’s office—they lay out standard selections and if you don’t see something that you like, they then direct you to the upgraded choices. Can I be honest here? 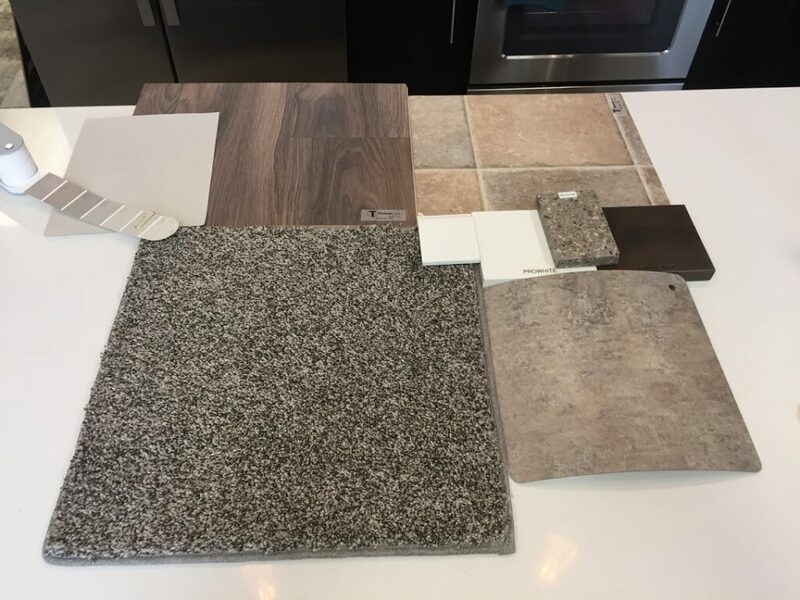 We didn’t need to look at many upgraded options for our interior selections because the standard choices are absolutely stunning! 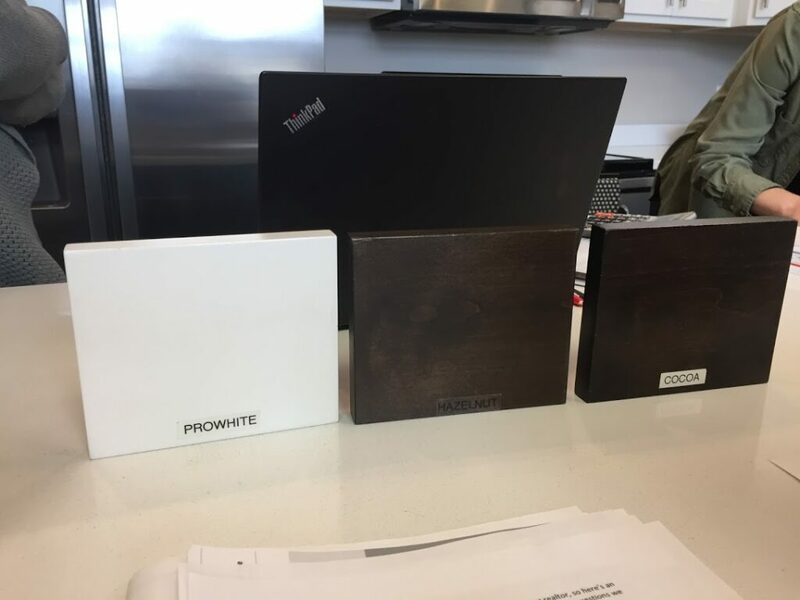 At this meeting we chose our stain color for cupboards, doors, and trim, our paint color, carpet, laminate flooring, vinyl flooring, door style, and countertops. I am so excited to see all of our choices come to life in our house! I can only imagine how beautiful it is going to be, and I credit our design team for helping us make this happen!